Manchester United manager José Mourinho is reportedly interested in luring Sevilla defender Clement Lenglet to Old Trafford in the summer as part of his overhauling process. Despite having quite a number of centre-backs in his team, the Portuguese manager is hoping to acquire Clement’s services before the start of next season. Lenglet was a regular starter in the La Liga team last term and he was impressive throughout the season. According to L’Equipe, Mourinho is ready to trigger the player’s release clause of €35m present in his contract with Sevilla. 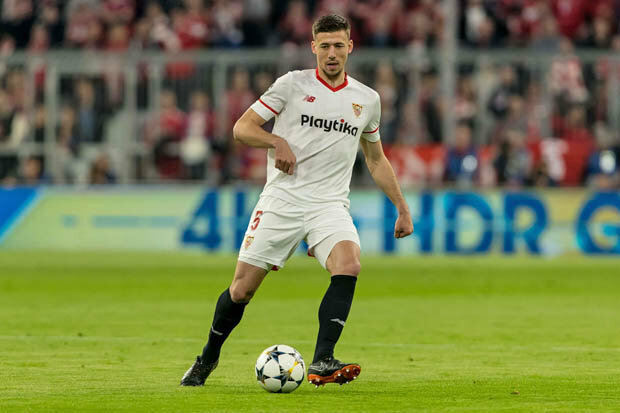 Lenglet made 67 appearances in all competitions for the Spanish giants in the 2017-18 season, helping them to Champions League quarter-final finish. Should Mourinho eventually sign Lenglet, he would no doubt add more quality to the team’s display at the deep half of the pitch in the upcoming season. In other United transfer news, the Red Devils have completed a £53m move for Brazilian midfielder Fred who currently plays for Shakhtar Donetsk. Fred was one of the best midfielders in the Ukrainian League in the just concluded season with four goals and six assists. The Red Devils are in desperate search for a midfielder that would replace Michael Carrick, who retired last season. Mourinho has identified the South American player as the perfect man to partner Paul Pogba and Nemanja Matic in the middle of the park.